Bloody Mary mix and seasonings are experiencing an explosion in sales and popularity, as more and more artisan sauce crafters are bringing their own recipes and versions to the market. You no longer have to settle for Mr & Mrs T, or Master of Mixes, or Major Peters’ – all of which are found in every grocer in the USA. We’re talking about Bloody Mary mixes from local bartenders going national to successful chefs marketing their recipe – from an award winning BBQ team and their mixer, to successful hot sauce makers joining the Bloody Mary mixer craze. Bloody Marys are so customizable – everything from the mixer itself and accompanying (added) ingredients, to the rimmer (salts or seasonings added to the rim of the glass) to the garnishes and accoutrements – are completely up to the individual. Even the liquor can vary from the classic vodkas, to tequila, to beer or cerveza, or even Irish Whisky (a Bloody Molly) and rum. Whenever you have something that is so basic, and yet so flavorful and lends itself to being customized to your heart’s content, mixologists and foodies everywhere love to tell you what they think is the best one. And while this short list certainly includes some winners, it is by no means complete. Taste: Fresh and bold yet simple. Very sweet at first, the garlic and onion are up front in the mix. Surprisingly, there’s no horseradish in this thick sauce (but I don’t miss it). Just big flavors and straight up sweet taste. Remarkable and delicious. Heat Level: Mild, savory, with just a tinge of chile pepper heat. Ingredients: tomato puree (water, tomato paste), sugar, worcestershire sauce (distilled white vinegar, molasses, water, flavorings, chile pepper extract), vinegar, molasses, salt, fresh lemons, garlic, onion, ascorbic acid, spices. 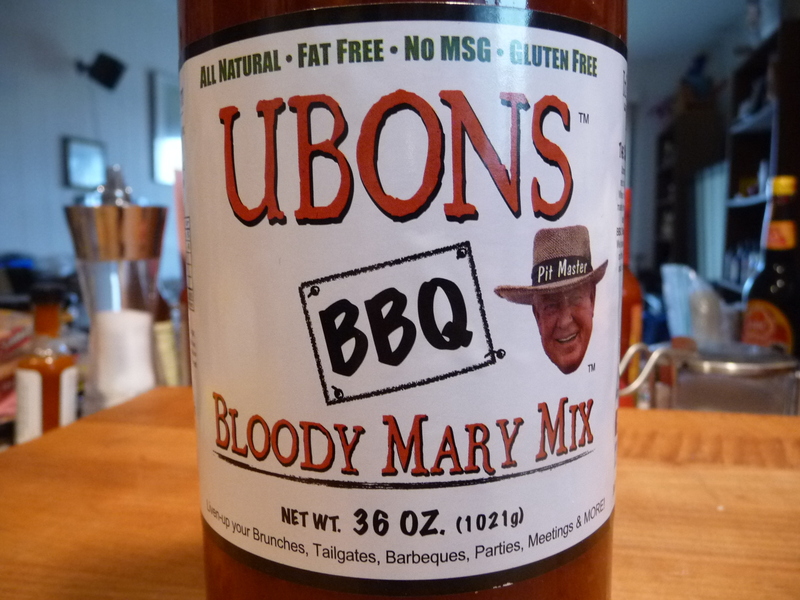 About: Ubon’s BBQ is an award-winning competition team from Yazoo, MS. Now in it’s 5th generation, this family secret Bloody Mary mix, perfected by Ubon Roark, was handed out at competitions to friends (and judges) and after much encouragement, is now available to you. Taste: There are no surprises here, other than how fresh and clean this mix tastes. 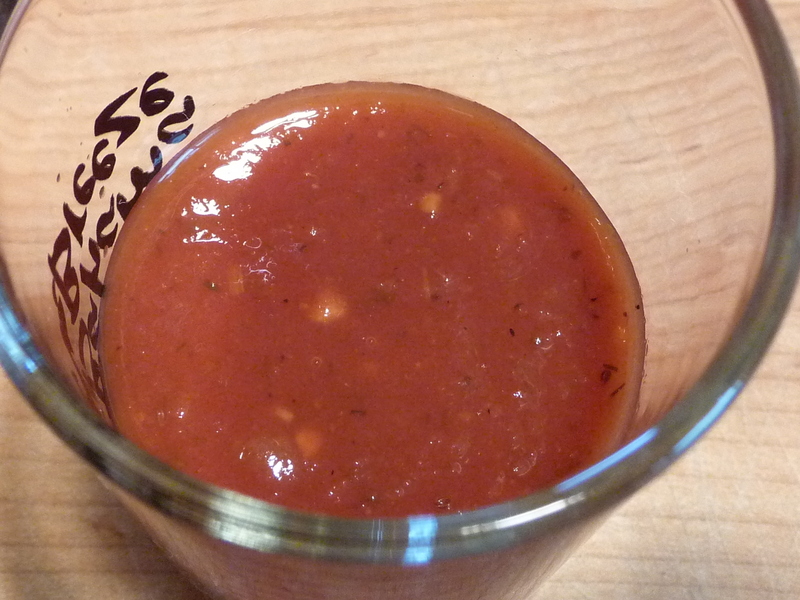 It truly is a stand-alone tomato “juice” that you could drink every morning. Add the vodka, and you have a simple Bloody Mary that is very drinkable and satisfying. This slightly thick mixer sports horseradish that is very mild… yet adds some nice tiny bits that enhance the mouth feel. Heat Level: Mild. Even with cayenne pepper sauce in the ingredient list, this is mildly spicy – not a hot blend. A great excuse to kick it up with your own heat, though not necessary. Ingredients: water, tomato paste, worcestershire, horseradish, salt, black pepper, lemon juice, lime juice, cayenne pepper sauce, celery salt, garlic powder, onion powder. 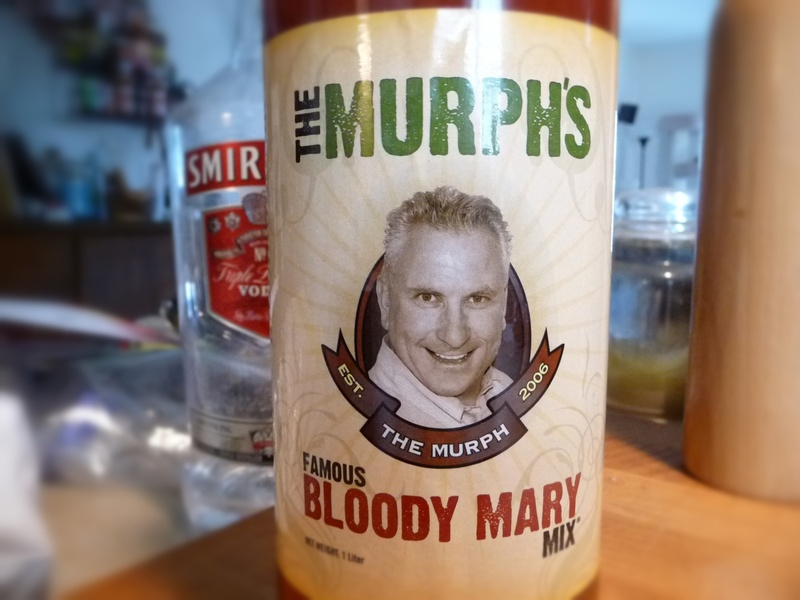 About: Stephen “The Murph” Murphy, the creator of Murph’s Famous, has bottled an all natural bloody mary mix that is so simple in construction, yet gourmet in taste. Their slogan “One sip, one believer!” holds true. Taste: This thin mixer is the one bringing on the heat in this roundup. There’s no doubt you’re tasting habanero peppers in the mix. It’s spicy. There is a slight grittiness to this mixer – while not entirely unpleasant, I felt it necessary to mention it. And I can’t help but notice that the chiles in the flavor taste like the dried variety. Heat Level: Medium-hot in heat, the burn fills my throat. It’s tame and pleasant, but not what I like in a Bloody Mary mix. I’m learning I DO like horseradish in my bloody marys, so I miss that ingredient here. Ingredients: water, tomato paste, salt, worcestershire sauce, lemon juice concentrate, hot sauce, food gums, food colors (yellow #6 & red #40), jalapeños, habaneros, natural spices, lemon essence, preservatives. 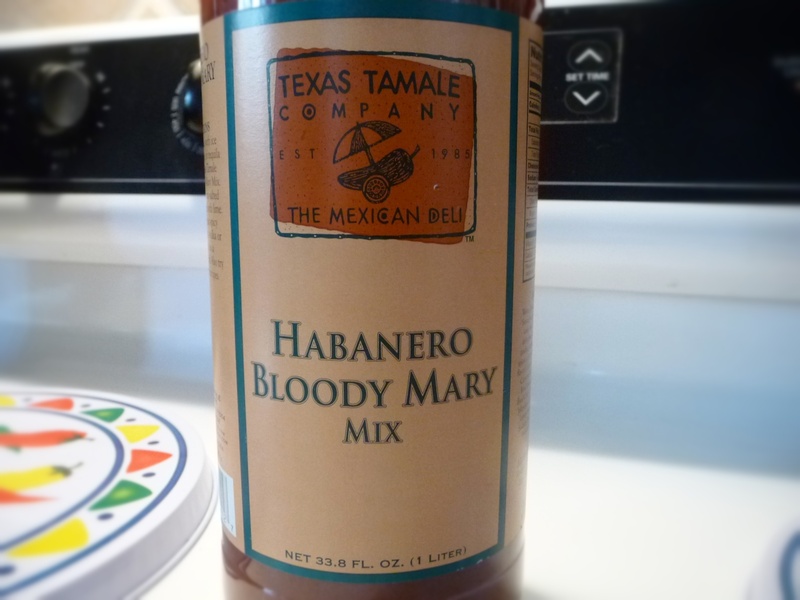 About: Texas Tamale Company (The Mexican Deli) offers this mixer as well as a handful of other mixers, salsas and hot sauces. 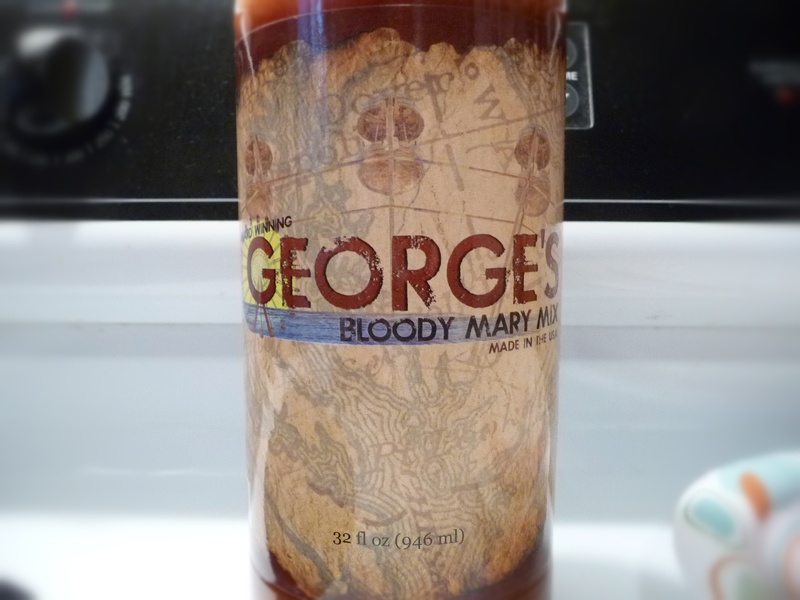 Taste: A very traditional taste, with tomato juice, Worcestershire sauce, and especially horseradish, George’s embodies the be-all end-all of Bloody Mary Mixes. 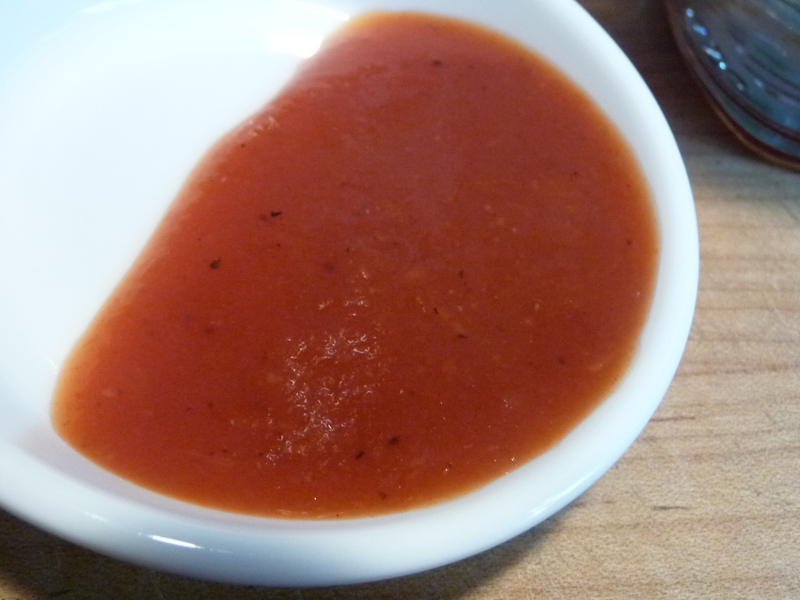 Truly, from this Marylander’s point of view, the most authentic and palatable sauce in this roundup. Heat Level: Hot. 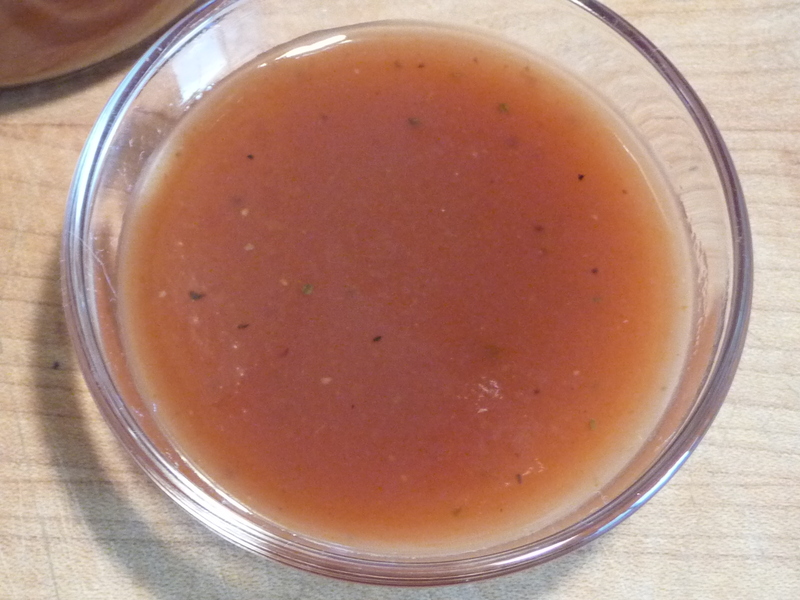 Probably from both the odd addition of chile pepper extract in the Worcestershire sauce and the added hot sauce component, paired with the horseradish, this mixer is the hottest of the bunch. 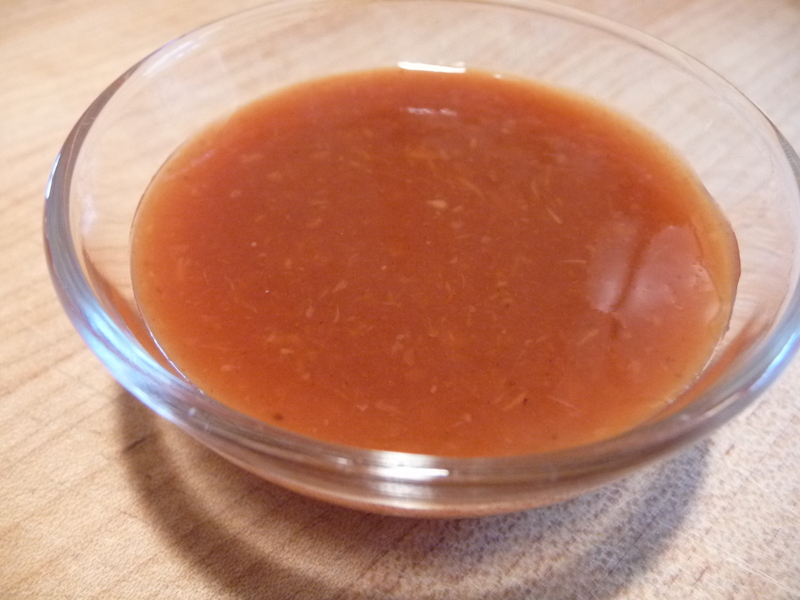 Ingredients: tomato juice (tomato paste, water), Worcestershire sauce (vinegar, molasses, high fructose corn syrup, anchovies, water, onions, salt, garlic, tamarind, cloves, natural flavorings, chile pepper extract), hot sauce (peppers, vinegar, salt, xanthan gum, benzoate of soda to preserve freshness and flavor), horseradish, lemon juice, celery salt (spices). Taste: The thickest mixer of the bunch, Gator Ron’s tastes like a classic Bloody Mary mixer with all the right ingredients. I sense only a hint of dark sweetness from the brown sugar, and the red habanero is so muted, you wouldn’t know it was there. A big tomato taste with the classic horseradish ingredient plays nicely with the black pepper and celery spices. Heat Level: Medium-light. The horseradish used here doesn’t bring on that much heat, and the habanero is barely noticeable. 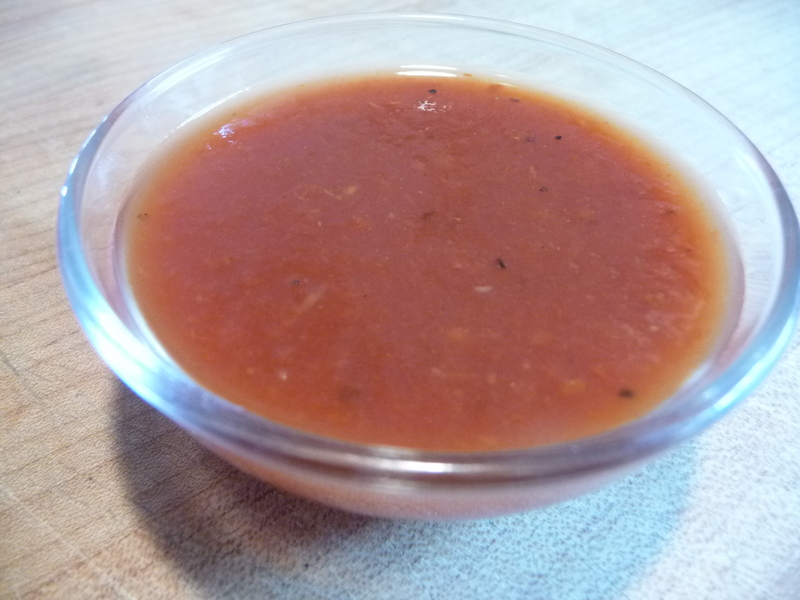 Ingredients: tomato juice (water, tomato paste), fresh horseradish, salt, vinegar, brown sugar, lemon juice, red habanero peppers, black pepper, ground celery, xanthan gum. Amazing, stellar flavor. Perfect as a juice on its own. The penultimate Bloody Mary Mix of this roundup, bar none. Our highest recommendation. Traditional in makeup, this one lends itself to the most customizing. Add your own heat and flavors to really make it zing. The most unique of the bunch. Only 3rd place because of its “bbq-centric” taste and history. Love the sweetness in it! Solid traditional flavors. Just a tad too hot for us to call this our “Every Sunday” Bloody Mary Mix. While quite hot, in a Habanero way, this is not the chile pepper we like in our Bloody Marys. You Habanero fans may love it though. While researching and preparing this post, I realized the half-dozen or so mixes I wish I could have included in this roundup – Zing-Zang, Dave’s (Insanity) Original, Jimmy Luv’s, McClure’s, Freshies, Borsari, and Stu’s. It’s amazing how many different and varied Bloody Mary mixes there are available today. Good stuff. I would test Bloody Mary’s all day. I liked one from La Pan’s I got last year… very tasty! La Pan’s. Another one I’ll have to look into. Thanks Brian! I read your reviews regularly and enjoy them quite a bit. It certainly has made me a bit more adventuresome in my approach to spice. After reading this review, I think I may be in the market for a little something different for an early morning drink! Hey Charlie, thanks for the nice comment. Get one of each! Well, the George’s, Ubon’s and Murph’s at least. Those were my top 3 favorites. Will do, Marilyn. I have been “lurking” and enjoying the blog for a while. Always up for something new when it comes to spice. I always read the reviews. When we travel, generally the only souvenir that comes home with me is a bottle or three of hot sauce! Brian, you should give ours a shot. We only use 100% fresh vegetables unlike all the others you mentioned that water down a can of tomato paste. Hey now, I just might have to do that for “round 2″ of a Bloody Mary Mix”. Thanks! I’d love to send our Powell & Mahoney Bloody Mary. We handcraft our all-natural, gluten-free mix out of our own facility in VT. The flavor is outstanding, with just the right amount of heat for all the flavors to shine through. We use our own barrel aged Worcestershire sauce which really packs a flavorful punch. Where shall I send it? We are up for the challenge! Meredith, I will be in touch via email. Thanks. Thanks, buddy. You guys would rock a Bloody Mary mix. Hey Jeff, thanks for the heads up o the Freshie’s Ghost. I could probably find that at Peppers in Rehoboth Beach, Delaware. I don’t understand why I don’t LOVE bloody marys. The mix has everything that I like in it. But the drink itself has just never resonated much with me. I wonder how one of these would work as a chicken marinade. I’ll include a bottle in your box so you can experiment with it. We’ve never marinated chicken in a tomato based product. But if anybody can pull it off, it’s you. Brian- I love this bloody mary round up! 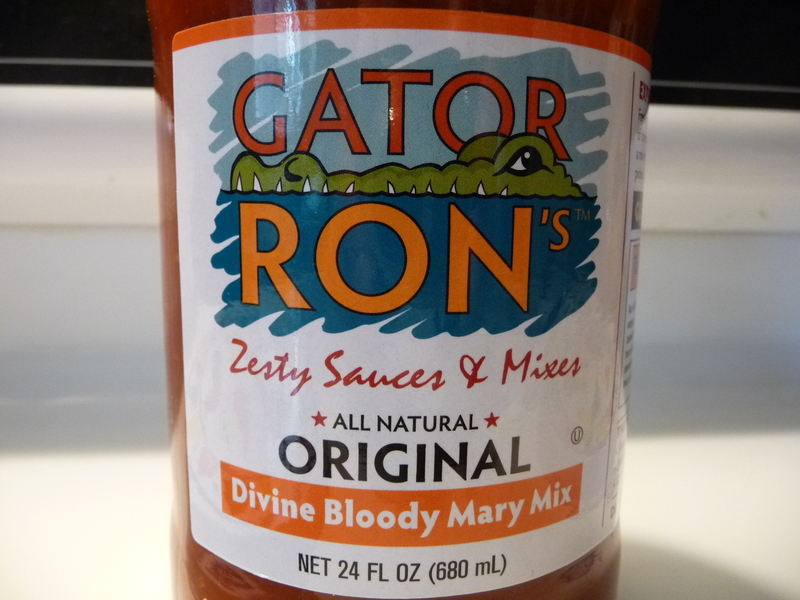 So, based on your recommendations the Gator Ron’s would be the best go to- easy to customize sauce? I love it! Thanks, Robyn! Yes, the Gator Ron’s could and should be doctored up to your liking. And they have a great cause in the ALS campaign. I would LOVE to throw my “Shaggy Dog” BMM into the mix of your round two! It has just begun to explode throughout the state of Tx in bars, restaurants, grocery stores! You won’t be disappointed! Hi Brian, Great post and site. I just bought Zing Zang today but am pondering taking it back (despite the high recommendation at Total Wine) and trying Murph’s or Powell & Mahoney instead. I almost bought P&M because of the packaging but, more importantly, the focus on natural ingredients. Any thoughts on choosing between these 3? Many thanks!!! @Lisa Marie, you can’t go wrong with either one! But I’d put Murph’s ahead of P&M. It’s really encouraging to see some higher quality bloody Mary mixes hit the market. Especially those that forgo the preservatives found in most of the big names. Nice article. I confess- I have not tried any of these mixes. Not sure they are available in my market. (Wisconsin) Cheers! Hey Brian, this was a great review like always. We would love to send you our 2 new varieties of mixes for round two of your review. Our Badass Barnacle Bloody Mary mix and the GhostShip Bloody Mary mix are made with fresh cucumber, onion, celery, garlic, jalapeno and ghost pepper for the GhostShip. Will be getting samples out to you this week!